Once considered a predominantly rural country, India is rapidly urbanizing. Although less than 1/3rdof India’s population now lives in cities, in the next two decades we are expected to cross the threshold where more than half of the country’s people will live in cities. How will this rapid progress towards urban ways of life shape ecology, natural resources and biodiversity in India? Unfortunately, we have very little information to draw on. The attention of Indian ecologists and conservation biologists has largely focused on understanding “natural” ecosystems such as forests in protected areas. Urban researchers rarely study ecology, while ecologists rarely consider cities worth of attention. Thus urban biodiversity remains a double blind spot, even as crises of urban ecology gain force across the country. Bangalore constitutes a characteristic example of a growing Indian city, famous internationally (even spawning new words such as “Bangalored”) as well as within India for its software industry. Yet many readers may not be aware that Bangalore has a much longer history of settlement from millenia in the past. The city itself has been an important Indian urban commercial center from the 16thcentury onwards. Well known for its green spaces and lakes, Bangalore was once called “India’s Garden City”. In recent years it has witnessed accelerated and highly unequal growth, transforming a landscape with forests, orchards, lakes, wetlands, pastures and fertile agriculture into a sea of concrete apartments and commercial complexes. 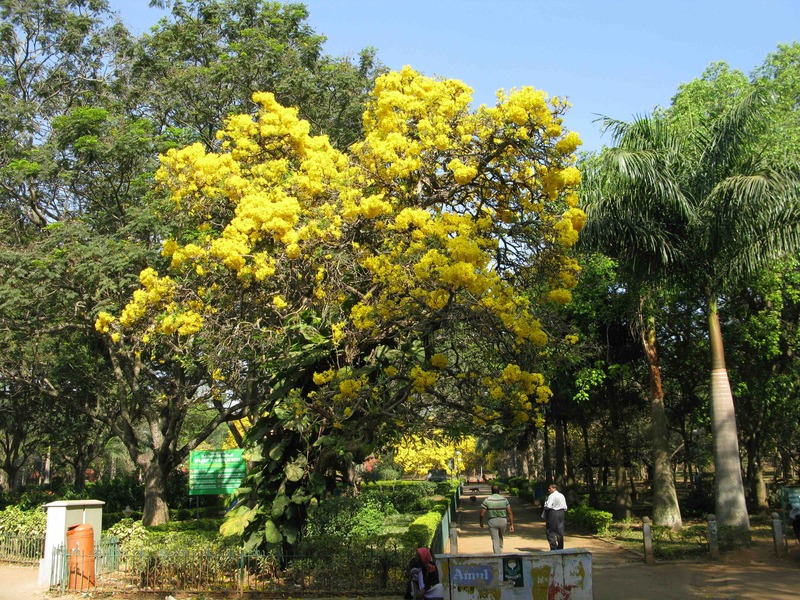 Bangalore is known to host to an impressive list of other plant and animal species. A checklist of fauna compiled by S. Karthikeyan in 1999 lists as many as 340 species of birds, 160 species of butterflies, 40 species of mammals, 38 species of reptiles, 16 species of amphibians, and 41 species of fish in the city, with reports of a new ant species identified in Bengaluru as recently as in 2006 – highlighting the unexplored nature of these city environments. 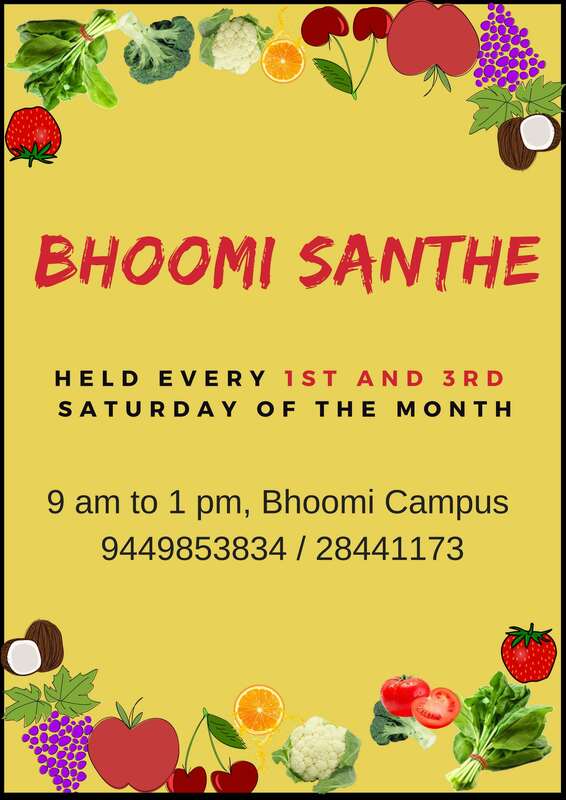 As with many Indian cities such as Pune and Delhi, Bangalore is fortunate in having a number of academic and religious institutions, government and military areas, in addition to areas formally established by city municipalities for urban greening such as parks. These different types of land use support biodiversity in different ways. Human choice, behaviour and policies directly impact plant diversity in particular. 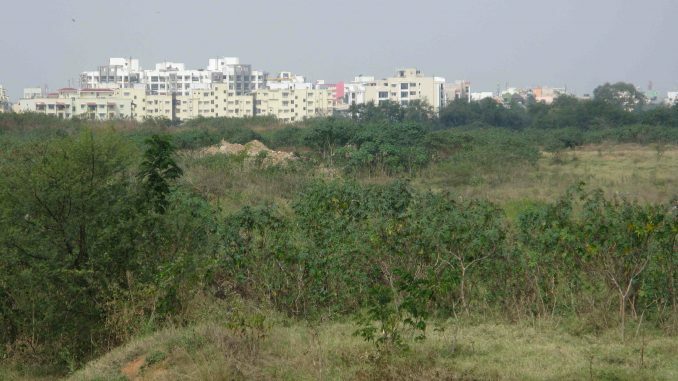 For instance, the landscape of Bangalore was quite dry and scrubby prior to the mid-19thcentury, when settlers began to find that urbanization lead to increased temperature. Extensive tree plantation was then conducted across the city to provide shade, greenery and visual relief. The species selected were a careful mix of local and exotic, with a focus of ensuring that at any point in time, some species of trees would be flowering, providing a spectacular visual pageant across the city. Apart from streets, great attention was paid to improving the condition of Bangalore’s two historical botanical gardens – Lal Bagh, created in the 18thcentury by the former rulers of this region, Hyder Ali and Tippu Sultan, and Cubbon Park, established in the 19thcentury by British administrators. An 1891 British book by John Cameron, “Catalogue of Plants in the Botanical Garden, Bangalore (Second Edition)” describes 3,222 species planted in Lal Bagh alone. In addition to these and a few other mid-sized parks established several decades ago, the city also hosts a number of small neighbourhood parks that are landscaped with manicured hedges and greater lawn area, with fewer trees. These parks are small but play an important role in supporting biodiversity, especially for mobile taxa such as birds and butterflies. Most flora in parks is exotic – only one out of every five trees in parks is a native species. Home gardens form another variety of pocket green space that is critical for biodiversity support in Bangalore. 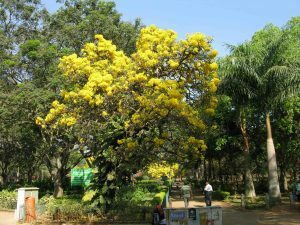 We studied 328 domestic gardens and apartments in Bangalore, and documented over 1668 trees belonging to 91 species, in addition to 192 species of shrubs and herbs. Of these, only the coconut is widespread, encountered in more than 30% of locations. Bangalore’s domestic garden owners seem to value the unusual, with 90% of the tree species and 80% found in less than 5% of the gardens. Compared to many other studies in domestic gardens in western countries which report a focus on ornamental plants, we found that many species planted for their food, medicinal or religious properties, including trees such as jackfruit, mango and drumstick, and plants such as papaya, banana, coriander and sacred basil. 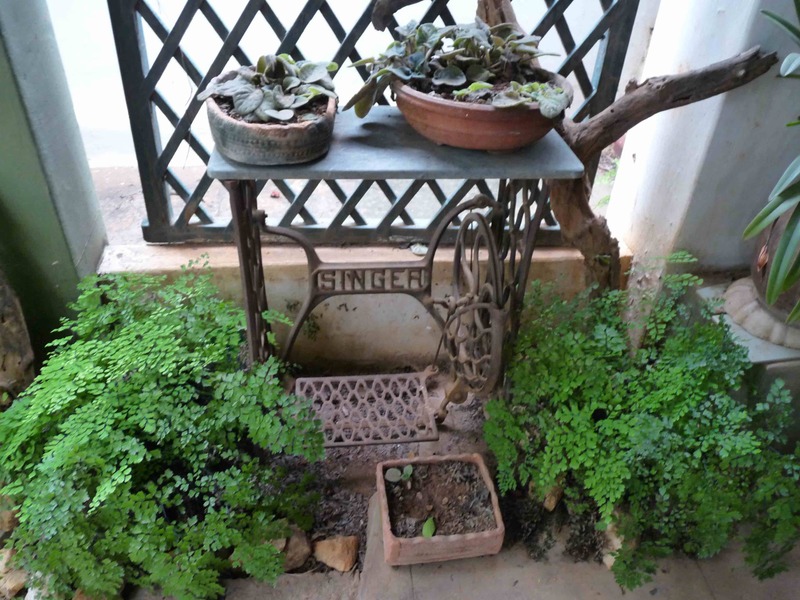 Domestic gardeners are creative, finding ways to host plants even in congested homes. In contrast to parks, which are heavily landscaped and sprayed with pesticides and insecticides, most home gardeners avoided using chemical sprays because of health concerns. Thus home gardens are more sustainable, and more bird and insect-friendly. Many home owners also make special efforts to support biodiversity, by placing rice out to feed birds, providing water baths, and leaving sugar out for ants. Slums constitute rich pockets of biodiversity as well, with a very high proportion of native plants, and use of plants with medicinal properties for home health remedies. Unfortunately, in many parts of Bangalore, gardens, wetlands and other green spaces are being converted to corporate campuses and upscale gated residential communities, dominated by manicured landscapes, with exotic turf grasses, non-flowering variegated shrubs and herbs, and hybridized small sized flowering trees and exotic palms that do not provide fruits, flowers, insect habitat and nesting areas for butterflies, birds, and insects. The extensive use of pesticides in these landscapes also impacts bird feeding, nesting and breeding. 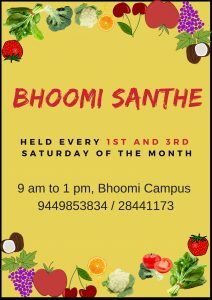 The pressures of urbanization on Indian cities are not unique to Bangalore, nor are they new. Yet the impacts are certainly spreading to other parts of India where villages are growing into small towns, towns into cities, and cities into megapolises. The role and influence of ideas of the sacred are however unique to Indian cities, and may provide a path forward for some conservation. For instance, historic cemeteries serve as sites for heritage tree protection in many Indian cities, as well as sacred traditions of conservation of aspects of nature such as anthills. Mosques constitute sacred locations associated with feeding of species such as pigeons and goats. Many cities and towns also contain centuries old temples with embedded with characteristic architectural features such as ponds, and protection of tree species such as the Ficus. Our recent study of sacred spaces across Bangalore recorded 5504 trees from 93 species in 62 temples, churches, and Hindu, Christian and Muslim cemeteries in central areas of Bengaluru. One in two tree species were of native origin, as compared to the dominance of exotic trees in parks. The density of trees in sacred sites was also much higher than that in parks, home gardens and slums. The rich diversity of cultural and spiritual traditions of worship in India thus holds promise for the future of biodiversity in Indian cities. Yet new paths of conservation need to be forged that can integrate these traditional approaches with modernization, ensuring their continued importance in urban management practices. Biodiversity is essential in cities. We need trees and plants to clean our polluted air and water, help in ground water percolation, ensure continued monsoons, cool the overheated concrete city, provide medicine and fuel, fruits, flowers and grazing material. Urban biodiversity is also essential for good physical and mental health, providing safe spaces for exercise and recreation, and relaxation and relief in stressed city environments. Sadly, despite the multiple benefits they provide, urban ecosystems are the most endangered of land use categories in a city – considered as “waste” spaces that can be taken over to build apartments and malls, roads and airports. The story of Bangalore is the story of biodiversity beleaguered, under threat, but still holding on in brave pockets of resistance – in slums, sacred spaces, home gardens and parks. We need to understand the importance of biodiversity and work together to protect our urban ecological heritage. Only then can India’s new urban era prove to be an era of ecological and human wellbeing. This has been aptly put in words.